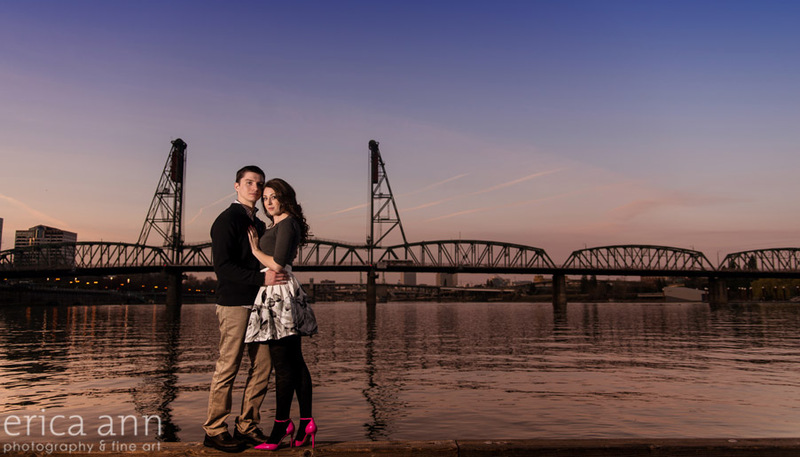 Oh my gosh, Kimi and Khiem were so much fun to photograph! Even though the engagement session was the first time we had ever met, they were so easy going, we hit it off immediately. We started out just strolling around the SW waterfront area in downtown Portland. I loved how windy it was! Kimi’s got the perfect hair for blowing in the wind. One of the really cool things about this shoot is that Khiem is one of the engineers who helped design the new Transit Light Rail bridge and we were able to get it in some of the shots! Its a pretty fun addition to the Portland waterfront skyline. As we made our way back to the falls, we stopped on the side of the road where there was some amazing light streaming through the trees and a spectacular view of Mt. Hood! But my favorite part of this engagement session and where the real adventure began, was with our hike to Bridal Veil Falls. 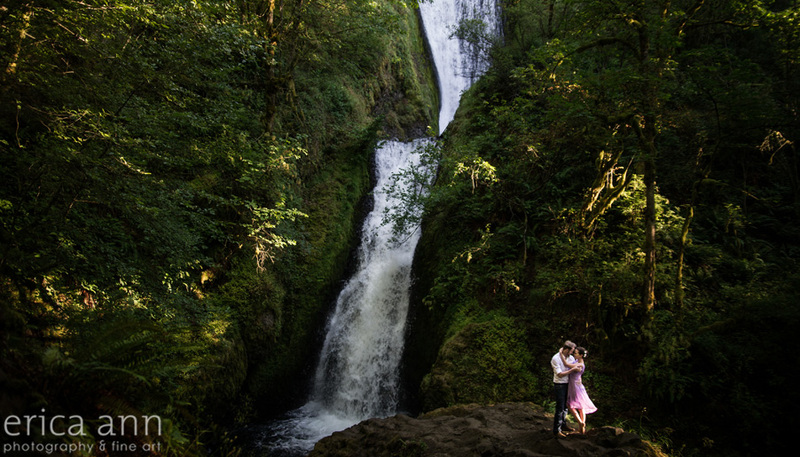 Jeff and Nicole were totally open to my “creative vision” and climbed up a massive boulder to stand up in front of the falls. We found the perfect beam of light peaking through, and then a nice breeze came to pick up Nicole’s skirt a little. I wish I could take credit for it, but at least I pushed the button at the right time, right? Eric is all about the very public displays of affection while Sarah mostly tries to avoid them. I absolutely love this first shot of the two of them because its so real. Sarah has that adorable coy look going on. Ha! I love it! Do you like how I threw “ADVENTURE” into the title in all caps? That’s because it was. 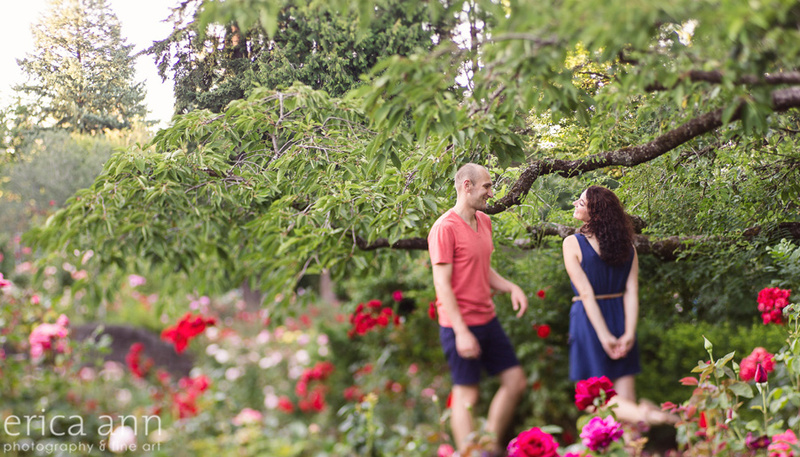 Engagement sessions can be pretty awesome. I love getting to know each couple better before their wedding day and getting them behind my camera is the best way to do that! 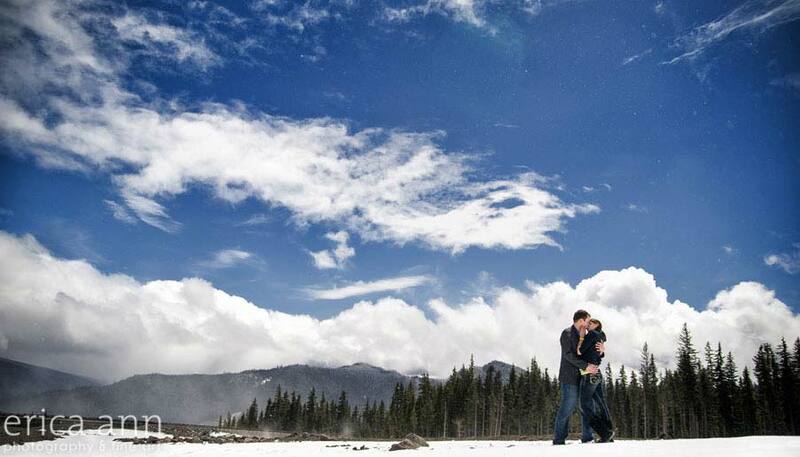 I help brainstorm with each couple to figure out a location and something to do that’s personal. The photos turn out so much more meaningful than if we had just gone to some random park. Plus, we get to choose the time of day, which isn’t always the case on your wedding. 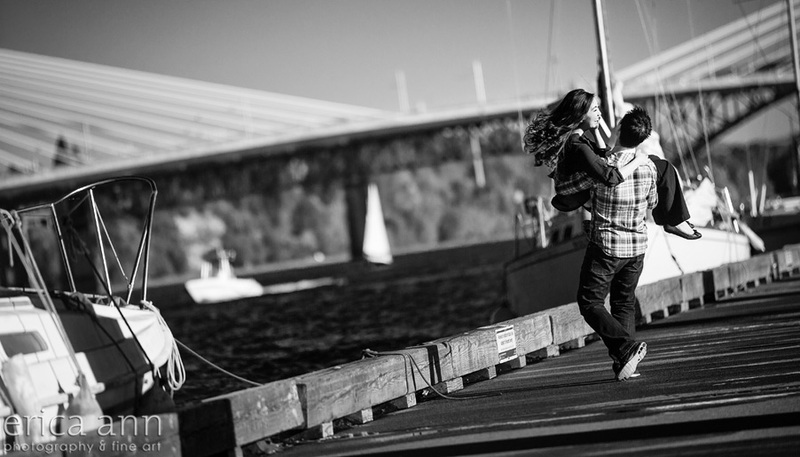 So, here is a collection of some of my favorite beautiful engagement photos from 2013.